Julie Fergus, ASID | NH Interior Designer: Design to Stay? Interior design ideas for your home. People typically procrastinate fixing the little things (sometimes big things) around their home. But when a homeowner plans to sell their home they rethink the property so that it appeals to potential buyers, and they will spruce it up to sell it. To illustrate how simple changes can have a great impact on interior spaces, I am using photos from a staging project where I enhanced a home. The task at hand was to enhance the interior in two weeks. 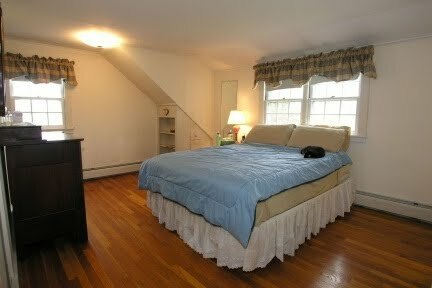 I took lots of photos of the rooms, measured windows, selected window shades, colors and coordinated subcontractors to get the work done. I shopped for lighting, wall art and accessories. I mentally planned the new furniture layouts. Everything was in motion, and two weeks later the interior spaces were greatly improved. In the scheme of things, the cost was minimal, but the results outstanding. I used the homeowners furniture, rearranged things and eliminated more than I added. 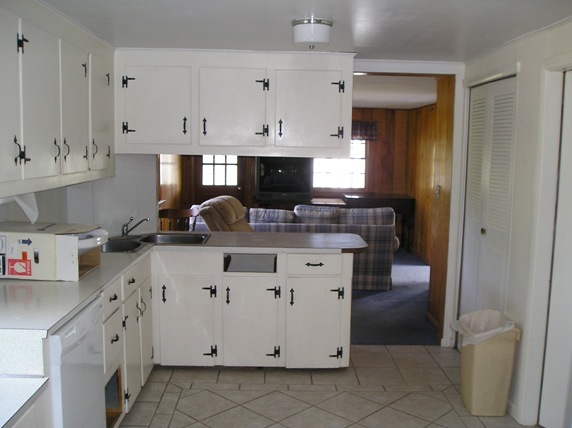 The kitchen before was cut off from other spaces. 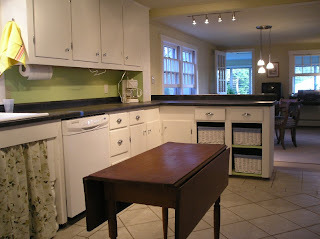 The remodeled kitchen moved the sink to the window, removed upper cabinets, and replaced countertops. 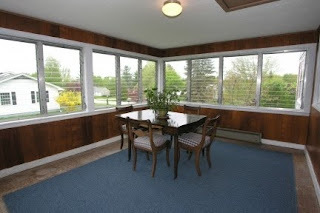 The sitting room's dark paneling was drab. 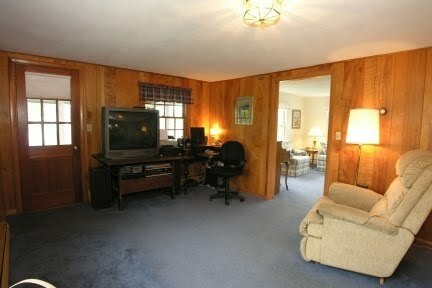 Paneling painted, flooring replaced and giving a new function of this room improved the flow. The bedroom was sparse and lifeless. 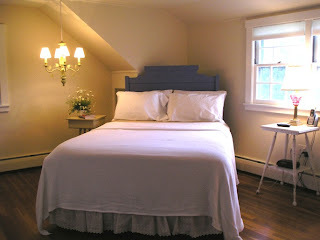 I'm usually not a fan of beds on an angle, but this was a way to gain more floor space and to have a headboard that did not block the windows. 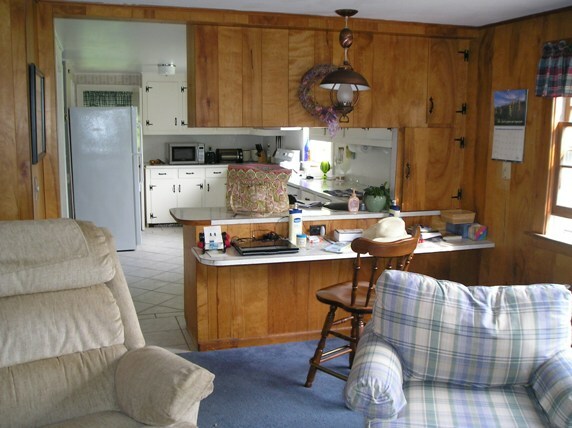 The former sitting room was cut-off from the kitchen. 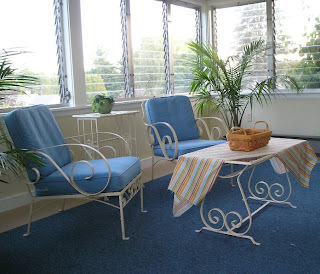 The sunroom was underutilized and did not have a summer feel to it. Painting and summer furnishings created a space that can be enjoyed in three seasons. This could not have been more dark and depressing upon entering this home. I had the solid metal door replaced with a glass door, painted the stair treads and railing and brought in colorful accents. HUGE difference, little effort. Just rearranging furniture can improve the space. The family room was unbalanced and oriented only toward the TV. Moving the sofa and side chair to create a central seating area makes the space work better. This was right in front of the entry door. Not a good first visual into the home. I created a sense of an entry area. 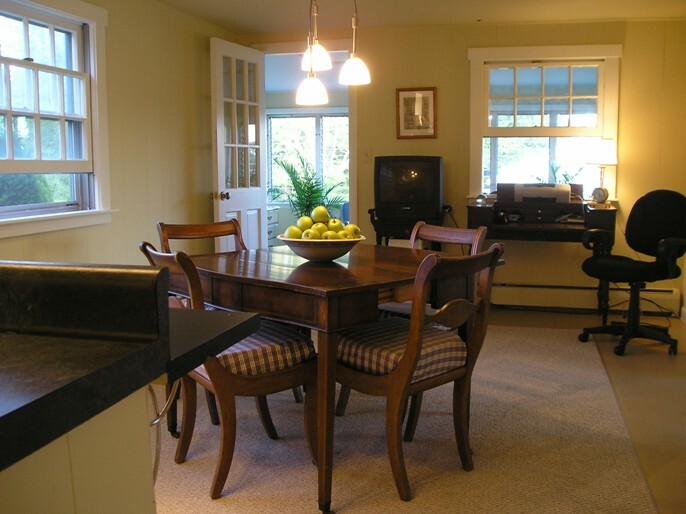 This allows guests to enter the home and not be right in the family room space. 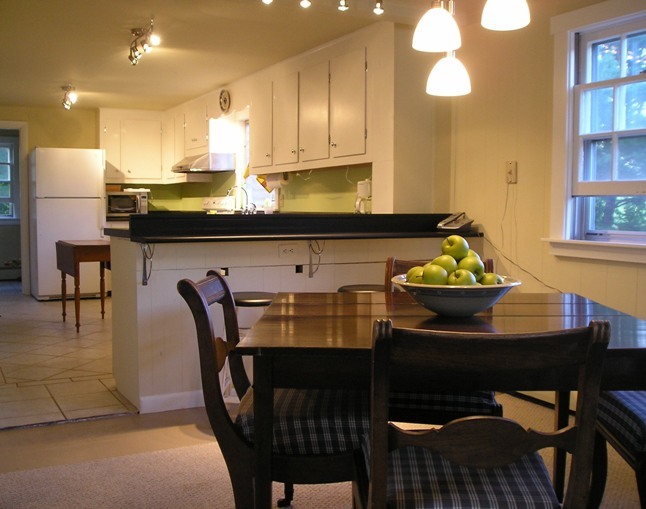 Why not spruce up your home now so you can enjoy it? 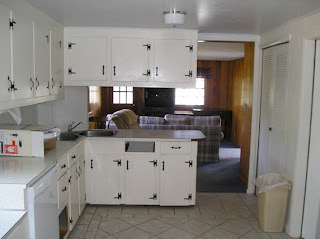 I wonder if some people are selling because they don’t like their home and think a new one will be better. Reevaluating the home you have and improving it may be the most cost-effective way to a better home. If you want to spruce up your home to sell, or for you to stay, consider working with me to beautify, organize and improve your home. Click here for my small project fees. 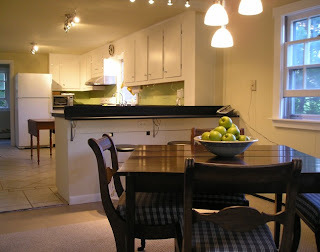 To see other great examples of staging and home make overs contact me.